Did you use awaiting results while filling your JAMB UTME registration form? This information is strictly meant for candidates who want to replace their AR used during registration with newly released results. It's a guide for both UTME and DE applicants. The post is equally important for candidates who are not sure whether the CBT centers uploaded their results earlier during UTME registration. Must DE candidates upload waiting result too? See: JAMB UTME Result: Can I Use My Score for 3 or More Years? 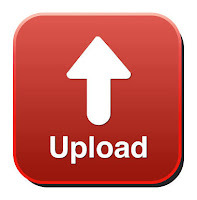 Below are the steps to upload your O'level results to JAMB portal. In order to log in to your profile CBT center will ask for your Profile code. This was the code you received through SMS while creating your profile earlier. If you have lost this code, send RESEND to 55019 on the phone you used earlier to get the code. There are two others ways to get your profile code. Check this post for details. Can you Replace the O'level you used earlier with a new one? If you have used a result earlier but you just check another result and this is far better than the first one, you should approach the CBT center following the steps above. This may be important if you've registered or want to register for Post UTME with another result different from the one earlier uploaded at CBT center. Kindly be informed that it's not compulsory to go back to the CBT where you registered your UTME for the uploading. You can just take it to any of the nearest centers. Just avoid doing such with public internet Cafe. Only CBT center is authorized. Is it Compulsory to upload Again? Yes for those who used awaiting but not for those who had already uploaded one - except they want to replace. Most schools are even warning all their applicants to make sure they upload the same results on JAMB portal as the one uploaded for the post UTME registration e.g Federal Polytechnic Ede, Bayero University Kano etc. Even if your own school is silent about this, you should still do the right thing. Don't forget that it's JAMB that gives you admission eventually. To get this, read, "JAMB CAPS Now Opened: System Through Which JAMB Will Give Admission to Aspirants"
In fact, who knows if the CBT center you used didn't upload for you in the first place? It's not unusual for JAMB DE candidates to use AR during registration too. In most cases, they await their A'level results such as ND, NCE, IJMB, JUPEB, NABTEB Advanced or Cambridge A'level. If you fall to this category and your school or exams body has finally released your result, kindly proceed to CBT centre and follow the same procedures detailed above to upload your result. What is the Deadline for SSCE Results Uploading to JAMB portal? As a matter of fact, JAMB has not released any official closing date for uploading of results. However, the purpose of this upload is to meet the year admission exercise of various schools. Therefore, you're advised to quickly go to CBT centre for this in order for JAMB and your school to process your admission. In other words, you must do the upload before the admission year ends or as soon as possible.